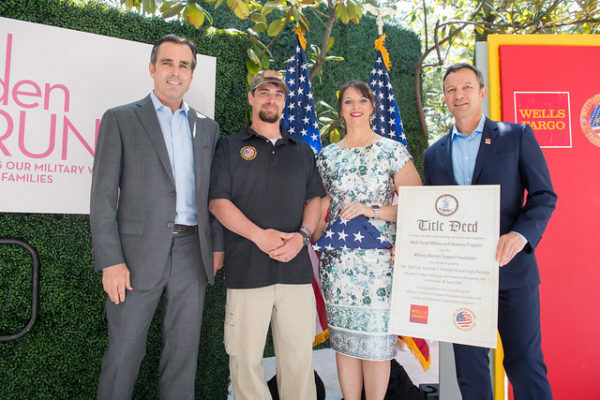 The 26th Annual White House Correspondents’ Garden Brunch will once again honor U.S. military service members and their families on Saturday, April 27, 2019. The Garden Brunch brings together journalists, politicos, lawmakers, and Hollywood stars to raise awareness for important causes. What started as a backyard tradition by WHC Insider’s Tammy Haddad has become a much-anticipated event to kick-off the day. In addition to Haddad, this year’s co-hosts include Hilary Rosen, Jean Case, Mark & Sally Ein, Jennifer Dunn, Zac Moffatt, Greta Van Susteren & John Coale, Fritz Brogan, and Franco Nuschese. Watch highlights from the 2018 WHC Garden Brunch. Uber’s Head of Federal Affairs, Danielle Burr, turned the media tables on Jake Sherman and Anna Palmer to take the audience behind the scenes on their reporting for their new book, The Hill to Die On: The Battle for Congress and the Future of Trump’s America. Burr asked about how The Hill to Die On authors were able to show Capitol Hill from the inside out. Sherman and Palmer described how they reported, including listening to member conference calls. They profiled legislative leaders — and their staffs — through these secret conversations, describing the power struggles that fuel Congressional politics. Guests included: Greta Van Susteren and John Coale, Microsoft VP Fred Humphries, Uber’s Susan Hendrick, The Washington Post’s Kris Coratti, Bloomberg’s Craig Gordon, NRCC Executive Director Parker Poling, Variety’s Ted Johnson, VICE’s Shawna Thomas, Speaker Pelosi’s Chief of Staff Robert Edmonson, Rep. Will Herd’s COS John Byers, Rep. Dan Kildee’s COS Mitchell Rivard, and Minority Leader McCarthy’s Policy Chief, Will Dunham. Zignal Labs, the only media analytics platform that harnesses the entire digital media landscape in real-time, released today a new report that explores what corporate social responsibility (CSR) means in today’s modern media landscape, where it’s going in the future, and why companies that jump on the bandwagon too quickly often fall right back off. The data-driven report — 10 Ways to Find Your Brand’s Purpose — highlights the key metrics and winning strategies behind the CSR efforts at Starbucks, Salesforce, and Häagen-Dazs. Today, 93 percent of the world’s largest companies publish annual reports describing their CSR initiatives. Coupled with the growing number of savvy consumers, there has never been a more critical time for brands to examine and elevate their CSR efforts. Zignal shows us how and why. Download the Zignal report here. For more information on Zignal’s proprietary media monitoring platform, please visit ZignalLabs.com. Zignal Labs is the only media analytics platform that harnesses the entire digital media landscape in real-time. Instant insights help our Fortune 1000 customers measure the impact of their brands, mitigate reputational risks and inform strategic decision-making. Through real-time and predictive analysis of the full-media spectrum, Zignal’s centralized platform empowers corporate communications, marketing, and executive teams to build and protect brand reputation, inform strategy and take action. Headquartered in San Francisco with offices in New York City and Washington, DC, Zignal serves customers around the world including Airbnb, Citrix, IBM, Levi’s, NVIDIA, Tyson, Uber, The Sacramento Kings and FleishmanHillard. 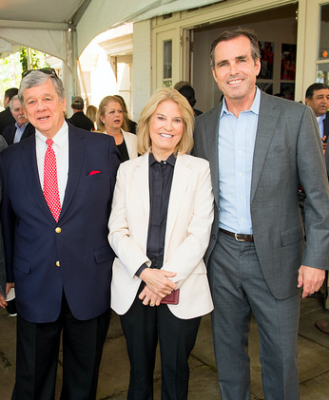 Greta Van Susteren and John Coale, co-hosts of the 2018 White House Correspondents’ Garden Brunch with ABC News’ Bob Woodruff (right). Greta Van Susteren is joining Gray TV as their new Chief National Political Analyst, where she will cover national and international politics. Gray TV owns and/or operates over 90 local television stations across the country. In addition, Ms. Van Susteren, will host two nationally syndicated shows in development with Gray TV. Read the Gray TV press release, here. “We’re thrilled to have someone with Greta’s depth of experience join our team. Our stations and our viewers will benefit from Greta’s no-nonsense, straightforward approach to complex political issues,” said Hilton Howell Jr., Gray’s Chairman and CEO. An award-winning journalist, Ms. Van Susteren hosted “On the Record” on the Fox News Channel for 14½ years before a short stint hosting a nightly news program on MSNBC. Prior to Fox News, Ms. Van Susteren hosted CNN’s prime-time news and analysis program, “The Point with Greta Van Susteren,” and co-hosted the network’s daily legal analysis show, “Burden of Proof.” Her legal analysis for CNN’s coverage of Election 2000 earned her the American Bar Association’s Presidential Award for Excellence in Journalism. Ms. Van Susteren currently hosts, and will continue to host, “Plugged in with Greta Van Susteren” on Voice of America, which broadcasts exclusively outside of the United States. The VOA program features Ms. Van Susteren’s first-hand reporting around the world from the G-20 to the North Korean summit. In just the past few months, she has interviewed numerous world leaders one-on-one, including President Trump, Israeli Prime Minister Netanyahu, and former President Carter. Greta has represented various clients in civil and criminal cases during her career as a trial attorney and appellate attorney. She has authored two books and served as an adjunct professor at the Georgetown University Law Center from 1984 through 1999. Gray TV owns and/or operates television stations and leading digital properties in 91 television markets, including the first or second highest rated television station in 85 markets. Upon the closing of a pending transaction, Gray TV will own 67 number-one rated television stations in 93 markets covering approximately 24 percent of US television households. Gray TV’s television stations broadcast almost 400 separate programming streams, including nearly 150 affiliates of the CBS/NBC/ABC/FOX networks. They also own video program production, marketing, and digital businesses including Raycom Sports, Tupelo-Raycom, and RTM Studios, the producer of PowerNation programs and content. For further information, please visit www.gray.tv. 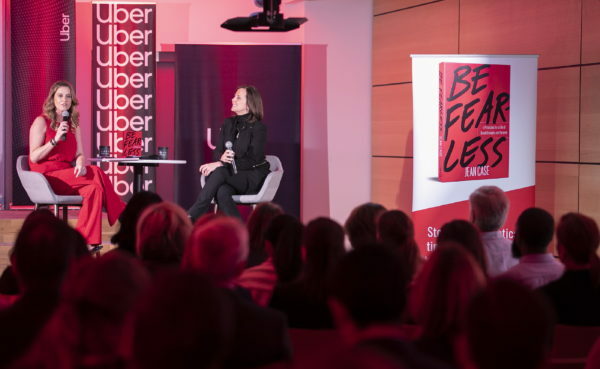 February 11, 2019 — Danielle Burr, Uber’s Head of Federal Affairs, hosted a fireside chat on Monday evening at Uber’s DC office to interview author and philanthropist Jean Case about her new book, Be Fearless: 5 Principles for a Life of Breakthroughs and Purpose. 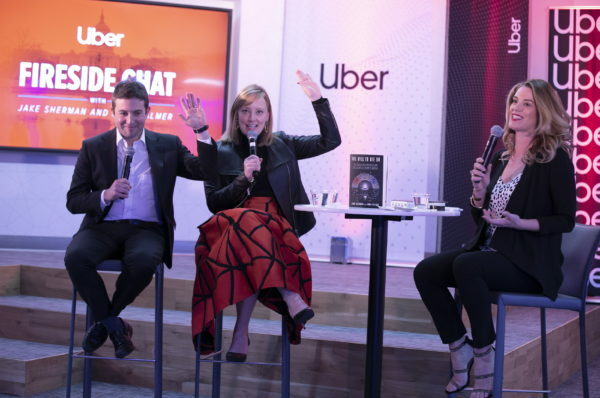 The event was held at Uber’s DC office. Danielle Burr (left) welcomes special guest Jean Case (right) to discuss the lessons and principles from her new book, Be Fearless. Jean spoke about her successes — as well as her failures — and how she responded to and utilized the experiences of both throughout her career. Following the discussion, the audience asked questions during a Q&A and Jean signed copies of her book. Guests included: Uber’s Susan Hendrick, Charles Rivkin, Steve Case, Heather Podesta, Kathleen Biden, Margaret Talev, David Chavern, Jon Decker, Niki Christoff, Susan Goldberg, Anita McBride, Dan Meyers, Gail MacKinnon, Kathy O’Hearn, Patrick Steel, Kevin Cirilli, Ryan Williams, Robyn Bash, Connie Partoyan, Peter O’Toole and Geoff Burr. 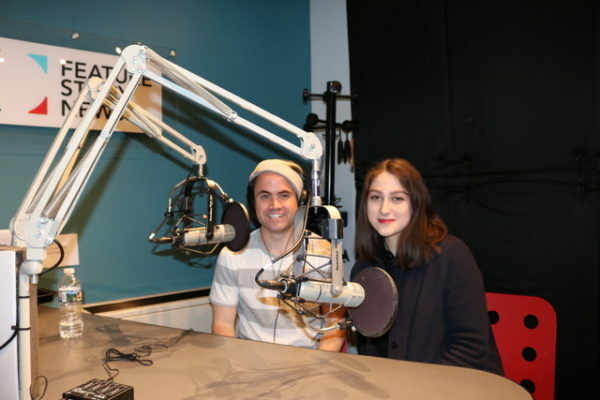 (February 1, 2019) — Big news is doubling-down on big tech. David Chavern, the president and CEO of the News Media Alliance, is the voice of the business of news. In Thursday’s New York Times op-ed, he makes the case for the systemic issues facing the news media industry, stemming from the Facebook/Google duopoly. 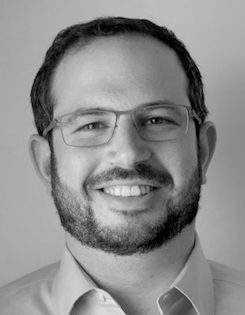 Chavern, a Chamber of Commerce veteran who has led the NMA since 2015, challenges why these two tech giants are not only hoarding the majority of online ad revenue, but they are also controlling the frequency and visibility of news through algorithms. The op-ed notes that Facebook and Google “flatly refuse to pay for news” even though they license many other types of content. Chavern is leading the charge to protect news by negotiating a fair, equitable deal with the tech giants. He contends that news organizations deserve the same intellectual property protections as songwriters and producers, a position European regulators are currently considering. The NMA is encouraged by legislation sponsored by Rep. David Cicilline (D-Rhode Island) that would allow news publishers to collectively negotiate a deal on revenue, data, and algorithms with Facebook and Google without violating antitrust rules. The News Media Alliance, a nonprofit organization headquartered in Washington, D.C., was founded in 1992 through a merger of seven associations serving the newspaper industry and was originally known as the Newspaper Association of America (NAA). NMA’s work focuses on the key challenges and opportunities of today’s news environment: Freedom of the press, public policy and legal matters, advertising growth, new revenue streams and audience development across all platforms. The News Media Alliance is dedicated to working with its members, as well as other partner organizations, to advance the industry through advocacy, critical research and resources and events that connect and inspire. Bloomberg’s Kevin Cirilli Exclusive Interview with Cohen Attorney Lanny Davis. 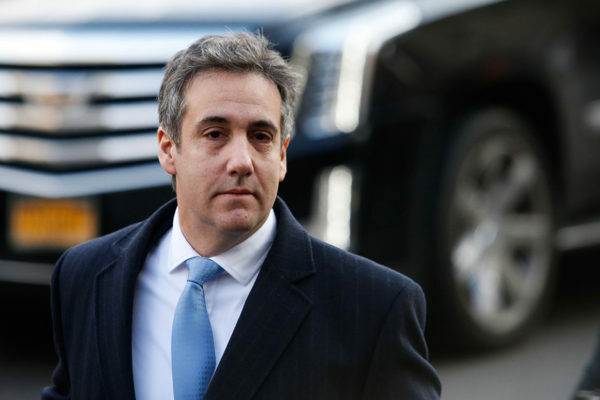 Bloomberg’s Kevin Cirilli delivered a big headline with an exclusive interview with Michael Cohen’s attorney, Lanny Davis on Bloomberg Podcast “Sound On,” Michael Cohen, President Trump’s longtime lawyer and fixer-turned-key witness in the Robert Mueller investigation, will appear in front of a Congressional Committee to testify about his role in a number of Trump-related scandals.